A taxi driver killed in a “horrific” six-car crash in Birmingham was on his last job of the night, his brother has said. Imtiaz Mohammed, 33, who had six children aged under 15, was one of six people killed in the accident in Edgbaston in the early hours of Sunday. 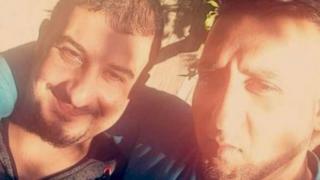 Two men in another car – Mohammed Fasha, 30, and Taugeer Hussain, 26 – died at the scene. The men, from Small Heath, Birmingham, and a 25-year-old man, died when they were thrown from the Audi they were travelling in. 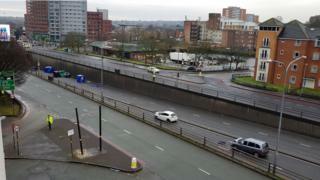 A 22-year-old man, who was also in the car, is in a serious condition at Birmingham’s Queen Elizabeth Hospital. 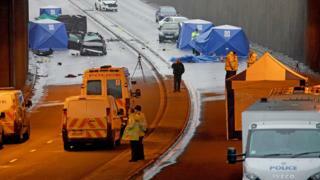 Crash investigators are trying to piece together what caused the pile-up, on Belgrave Middleway. 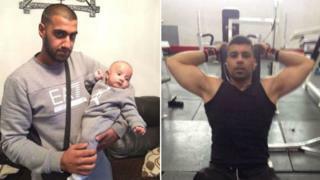 Image caption Three men in the Audi, including Mohammed Fasha, 30, pictured with his baby nephew, and Tauqeer Hussain, 26, known as Tox to his family, died at the scene. The family of Mr Mohammed, who had five daughters and one son, said his death came the day before his daughter’s fourth birthday. He said his grandchildren had gone to school as usual, adding that the younger of the children have not yet been told of their father’s death. He said: “I am very sad, this is a tragedy for everyone – for my family and also for the other families as well. He said his “heart sank” when police knocked on his door at 05:00 GMT and he “knew there was something wrong”. “I thought to myself, ‘which of my sons is hurt’,” he said. The victim’s younger brother, Noorshad Mohammed, said Imtiaz called his wife just before the crash, to tell her he was on his way home. 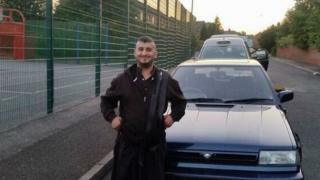 The taxi driver’s employer, Castle Cars, said it was “shocked and devastated” to learn of Mr Mohammed’s death. 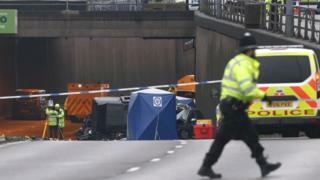 A 43-year-old female passenger in Mr Mohammed’s taxi was confirmed dead at the scene of the crash, which happened on the underpass where Belgrave and Lee Bank Middleway meet. Her male companion, 42, died at the Queen Elizabeth Hospital. The first car in the crash sustained extensive damage but, “astonishingly”, the man and woman inside managed to get out with relatively minor injuries, an ambulance service spokesman said. Three other cars were caught up in the crash and suffered minor damage trying to avoid it. Michelle Brotherton, from the ambulance service, said crews had dealt with 13 patients. As well as those who died and the man in a critical condition, four people were taken to Heartlands Hospital where their condition is believed to be non-life threatening. A further two patients were “discharged on scene”. 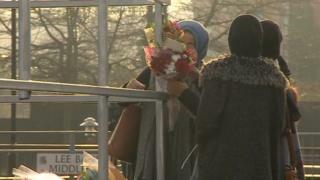 West Midlands Police said all victims were from the Birmingham area and specialist officers were supporting their families. Police, @WestMidsFire & @OFFICIALWMAS are responding to a very serious crash on Lee Bank Middleway in Edgbaston, Birmingham near to the tunnel which goes beneath Bristol Street. Call received at 1.11am Sun 17/12. Avoid area. Road will be closed for a very long time. Police said they were following various lines of investigation including the condition of the road when the crash happened. At a press conference Supt Sean Phillips said it was “too early” to speculate on the cause of the accident. “It will take some time to unpick and just understand exactly what’s happened. It would be unfair for me to speculate at this time,” he said. 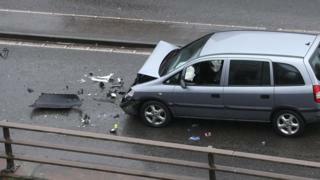 Sam Lad, who lives in a flat overlooking the crash site, said people regularly used the road for racing. He said: “Lots of young people use that road as a competition, I see lots of people speeding. The stretch of road from Islington Row to Bristol Street was closed while officers investigate. The road has two lanes either side and a 40mph speed limit. An online fundraising page been set up for the families of those killed, through the Lord Mayor’s Charity Appeal. It has raised over £3,700. Area Commander Jason Campbell, of West Midlands Fire Service, said the crash site was “spread over some distance”. 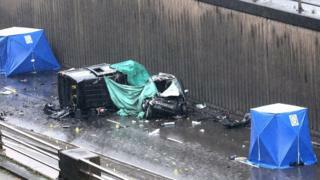 West Midlands Police described dealing with the aftermath of the crash as “very difficult and upsetting”. A senior officer criticised the “lack of humanity” of people who took photographs and filmed at the scene. Chief Inspector Stuart Bill said it was “disappointing” that people chose to “disrupt” emergency services rather than help. 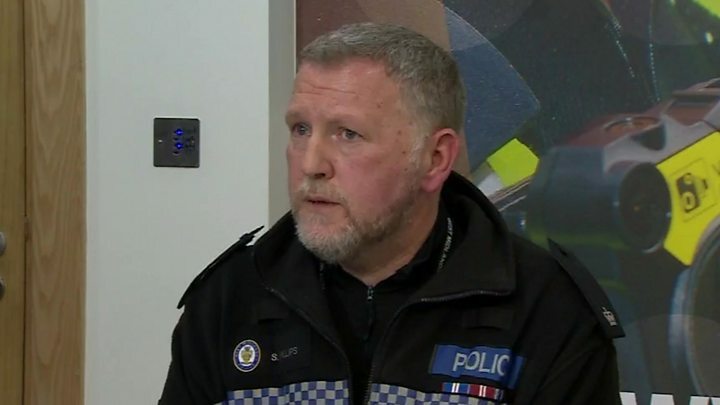 Sergeant Alan Hands, from the force’s Collision Investigation Unit, said: “We are still trying to establish exactly what happened and our thoughts remain with the families who have lost-loved ones. Any witnesses have been asked to contact West Midlands Police.